TRAFFIC, the wildlife trade monitoring network, works to ensure that trade in wild animals and plants is not a threat to the conservation of nature. We actively monitor and investigate wildlife trade and provide information to diverse audiences worldwide as a basis for effective conservation policies and programmes. 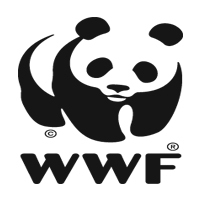 TRAFFIC is a strategic alliance of World Wide Fund for Nature (WWF) and the International Union for Conservation of Nature (IUCN) and is an international network, organised into eight regional programmes. TRAFFIC is currently implementing the US Agency for International Development (USAID) Wildlife Trafficking, Response, Assessment, Priority Setting' (Wildlife-TRAPS) Project. This initiative is designed to tackle the illegal trade of terrestrial and marine wildlife between Africa and Asia. Wildlife 'TRAPS is focusing on disrupting the illegal trade of high value species between Central and East & Southern Africa and East and South East Asia through the development of targeted actions and testing new innovative partnerships and approaches. Responsible for ensuring the timely and effective implementation of Wildlife TRAPS and activities in East Africa and capturing the impact and learning that arise from these activities. Helping to manage, relationships with relevant USAID missions and to ensure the Wildlife TRAPS Project integrates productively with other USAID funded initiatives and programmes operating both within and between Africa and Asia. Supporting the wider TRAFFIC East Africa team as necessary. A university degree in a relevant discipline (e.g., biology, political science, social science, international relations, law, economics, or journalism). 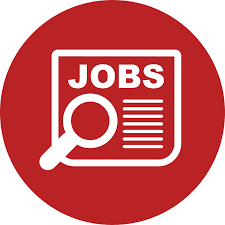 At least 4 years' experience in wildlife conservation and sustainable development issues, preferably with an international Non-Governmental Organization (NGO) or Inter-Governmental Organization (IGO). A willingness and ability to travel widely and frequently and to work under pressure. Familiarity with standard word processing, spreadsheet, presentation and data base software, and with electronic communication technology.